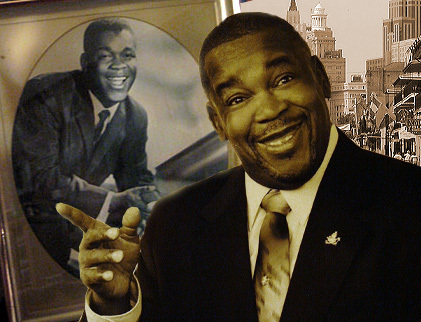 Welcome to the official web site of New Orleans Legend Clarence "Frogman" Henry - with over forty yeears in show biz. His artistic name originates from the lyrics of million hit "Ain't Got no Home". Frogman is one of the original performers of New Orleans Rhythm'n Blues. He is voted into Rockabilly, Westbank, Delta (Ferriday) and Gulf Halls of Fame (and several more). He has entertained our Presidents and toured with the greatest - from The Beatles to Tina Turner, Dr John, James Brown and Little Richard. Frogman appears at the New Orleans Jazz & Heritage Festival every year. Frogman loves when you sign the guestbook click here.